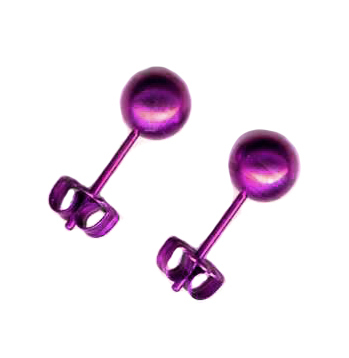 These earrings are anodized violet. The ball is 6mm in diameter. anodizing is an art -- the picture shows the color of a representative pair, but different batches can vary slightly in color.